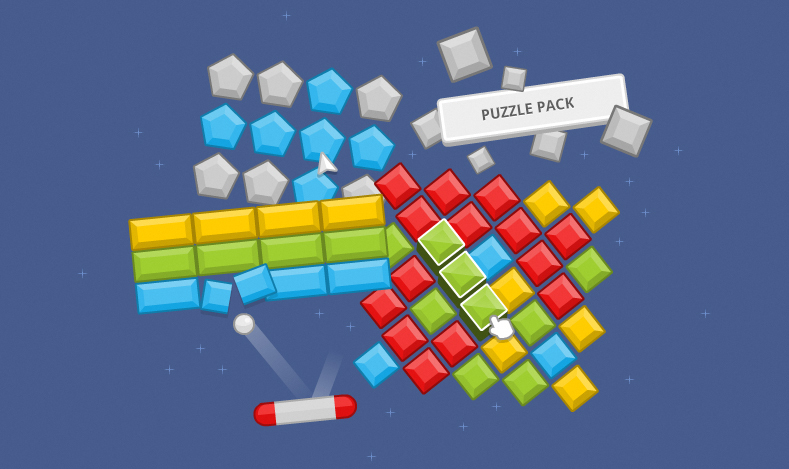 Whether you want to create a Bejeweled like game, Arkanoid clone or a new unique puzzle game - this pack has you covered! 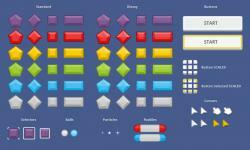 From gems to stars, from paddles to cursors. Awesome. 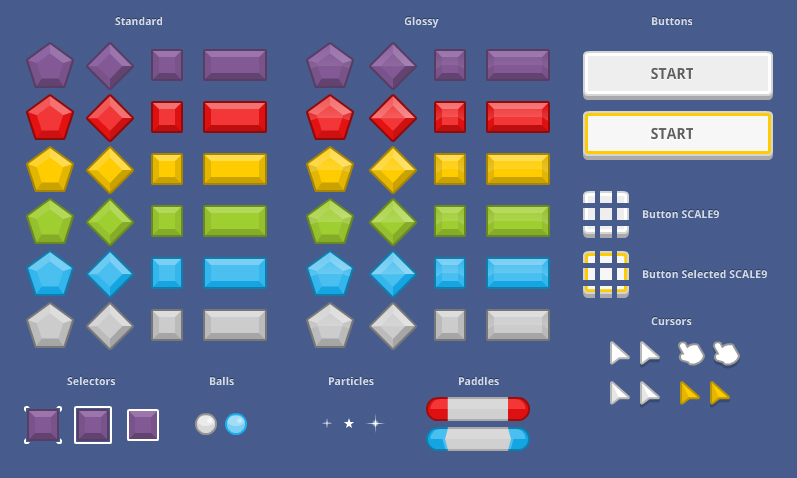 Some powerups that will be great. I'm sure you've already gotten a lot of kind words for your recent art sets. But I'm going to say all this anyway. These complete (and shiny!) art packs are EXCELLENT for newbie game devs. I don't have the art skills! You're helping solve both major roadblocks. First these high-polish packs can make a simple game really shine. Second, we always tell aspiring game devs to Start Small -- try a vertical scrolling shooter, or breakout, or bejeweled, or tetris. You've come along and created these game dev kits that hopefully will get many people past idea mode and into creating things. Thanks Clint! This is absolutely what I'm trying to go for. From what I've noticed after releasing a few of these is that developers actually start and more importantly, finish creating a game. Hey Kenny, very nice. Gonna make a game with it. I'm loving these art packs Kenney. This one got me inspired to make a game like Tetris Attack (video, Github). I get a error when trying to unzip. EDIT: Was related to my internet SP. Downlaoded it succesfully. Totally awesome, but my only complaint is that the Inkscape svg file has everything as one image and not as different images the can be edited and exported individually. Is there a way you could do that? This pack is really good. Made a bejeweled-like game with it for my final class project. Without Kenney I'd probably just be using colored boxes made in mspaint.